A hog and a hardware store are all you need to summon your inner pit master this summer. First, buy the pig from a country butcher; request a whole one, butterflied, with the hair removed. The head is optional but adds authentic flair. Ensure it’s legal to build a monster-truck-size fire in your backyard, then commence to pigging out. Stack about 30 cinder blocks to form a rectangular pit two blocks tall. At the ready have a grate of nongalvanized, expanded metal. You’ll want to support it with three lengths of rebar across the width. In the pit, burn a large hardwood fire down to coals. Rake about 4 inches of coals on each end of the pit, where the hams and shoulders will be. You won’t need much direct heat in the middle. Next, build a second fire nearby so that you can easily replenish the coals. 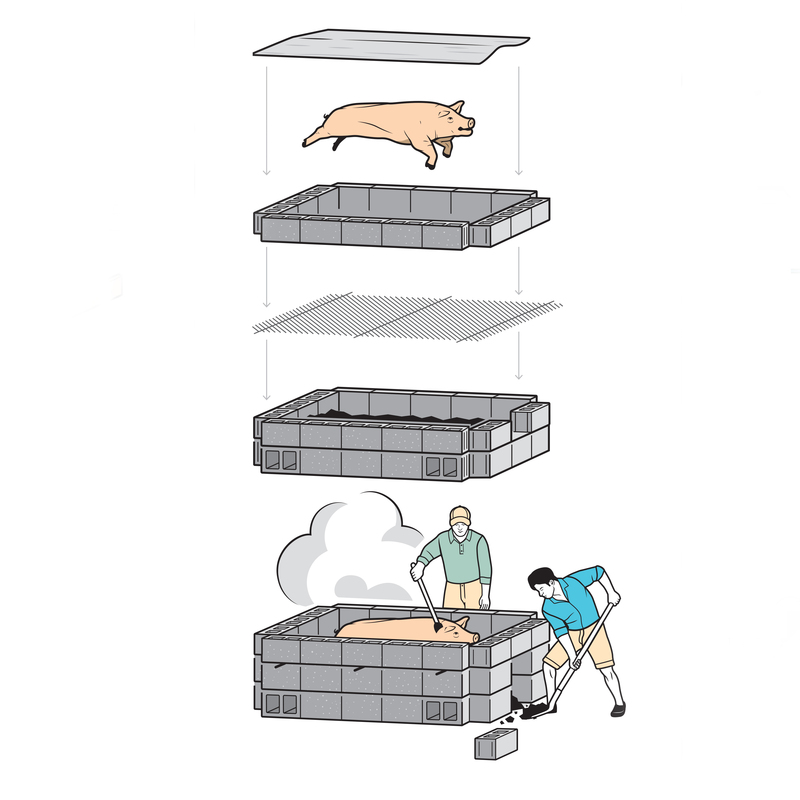 Then rest the grate on the blocks and set the pig on it, right side up. Stack a third layer of cinder blocks and set a piece of metal sheeting or foil over it, above the pig. Keep a bucket of water handy for wetting down flare-ups. Plan on 6 to 8 hours of slow cooking. Maintain a temp of about 225 degrees. Shovel in extra coals as needed by removing an end cinder block, and regulate the heat by using blocks to dampen the resulting opening. Baste liberally with a vinegar-based sauce. When the pig is about halfway cooked, enlist a couple of pals to help flip it with clean shovels; use oven mitts to grab the legs. Feast on the ribs once you flip the pig; the rest of the hog is ready when the hams hit 180 degrees.